With his debut EP Go Mode being available today for digital download, Epic Records signee Snootie Wild drops off something new in support of the project. For his latest release, the North Memphis rapper connects with K Camp, Jeremih and Boosie BadAzz for the official remix of his current hit single “Made Me.” Although the track doesn’t feature a new verse from Snootie or K.Camp, Jeremih and Boosie, who appeared in the singles music video, touch up the record with some some fresh verses, which should def add some more popularity to the already hot song. Download Snootie Wild’s debut EP on iTunes now. 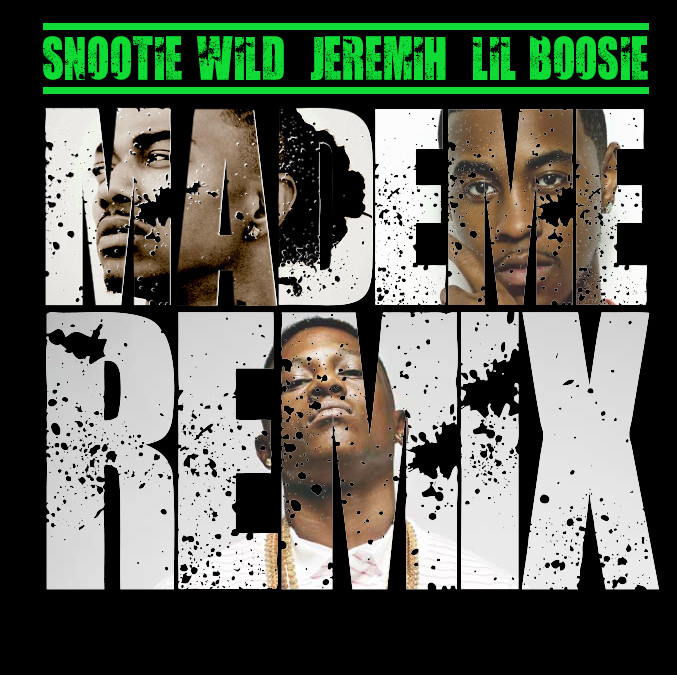 With his debut EP Go Mode being available today for digital download, Epic Records signee Snootie Wild drops rapper connects with K Camp, Jeremih and Boosie BadAzz for the official remix of his current hit single “Made Me.” Although the track doesn’t feature a new verse from Snootie or K.Camp, Jeremih and Boosie, who appeared in the singles music video, touch up the record with some some fresh verses, which should def add some more popularity to the already hot song. Download Snootie Wild’s debut EP on iTunes now.